The proposal for a Capitol Visitor Center began to crystallize in the mid-1970s with the issuance of the Architect of the Capitol's report "Toward a Master Plan for the United States Capitol." In 1991, Congress authorized funding for conceptual planning and design of a visitor center. In 1995, the design report was issued. Changes in security needs, as underscored by the tragic murder of two Capitol police officers in 1998, and other safety and accessibility considerations required revisiting and revalidating the 1995 report. The updated plan was presented to the U.S. Capitol Preservation Commission in October 1999. Decisions by the Capitol Preservation Commission led to the start of pre-construction activities in the fall of 2001. The events of September 11, 2001 necessitated additional design changes and prompted Congress to provide the necessary funding to move the project into construction. Actual construction began in 2002. By the fall of 2003, excavation was essentially complete and build-up of the structure began. Personnel began to occupy the building in July 2008 and it was dedicated and opened to the public on December 2, 2008. 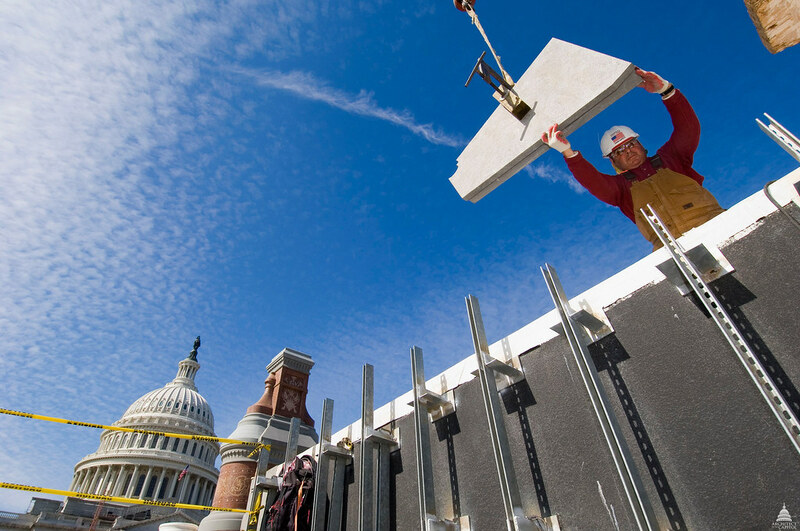 Since opening in 2008, millions of people have visited the Capitol, entering through the Capitol Visitor Center.